VALLEY, Virgin Gorda, VI - In a time of 12 minutes and 12.07 seconds, high schooler Mekhi Walters of the O'Neal House of the Bregado Flax Educational Center's Secondary Division, stood out as he crossed the line first during the second race of the Virgin Gorda leg of the Mourant, H. Lavity Stoutt Community College (HLSCC) Classic Series on Saturday October 6, 2018. 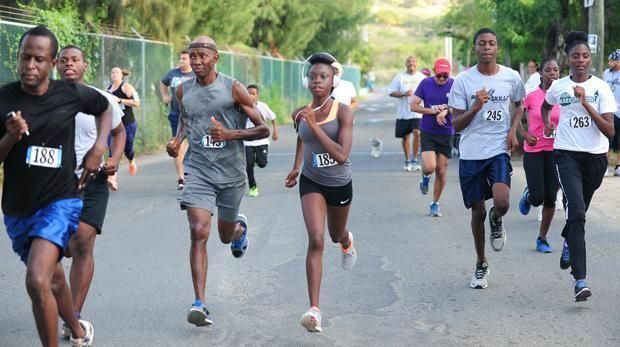 Walters led his O'Neal House team to victory and in the process, they're now tied with Harrigan House in the Cross Country Division, setting up a showdown for the title in the October 27, 2018 finale. In the Primary Division, Team Parker's Panthers of Bregado Flax, were the winners followed by Team Robinson O'Neal, who now leads the series overall with 2 races under their belt. In the overall Two Mile Women Division, clocking 13 minutes, 37.78 seconds, HLSCC Student and Raw Skillz Track Club member Mariah Christian, captured the victory, in the absence of Katrina Lindsay, who broke the five year old Women's Course record in the September 22, 2108 opener, with a time of 12:19.79. Meanwhile, Rainford Legair won in the overall Men division. Both the men and women overall champion positions are now up for grabs going in to final race. 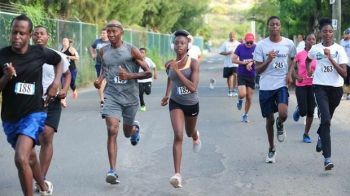 Race Director, Stephanie R. Penn, said she is looking forward to the finale, where the College will partner with the Valley Sound Lions Club and the Virgin Gorda Rotaract Club, to raise awareness of breast cancer and domestic violence. "The community is asked to wear pink and purple as they join in raising this awareness," Ms Penn said. "Post-race activities are expected to include the award ceremony for all divisions of the series and a health fair." 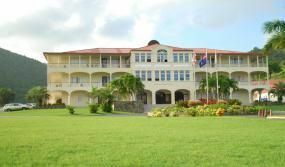 The Tortola leg of the series returns to Paraquita Bay on Saturday October 13, 2018, with the Rotary Club of Tortola's Purple Pinkie Polio Challenge. Persons are invited to come out and bring a donation to support the Rotary's Polio Plus Fund. There will also be exciting battles in all of the series' respective divisions. The race starts at 7:00 AM.